Early next month UEA will be hosting a workshop on the theme of ‘Environments in Public’, in collaboration with the Broads Authority and 3S. You can find out more here and see the full programme here. 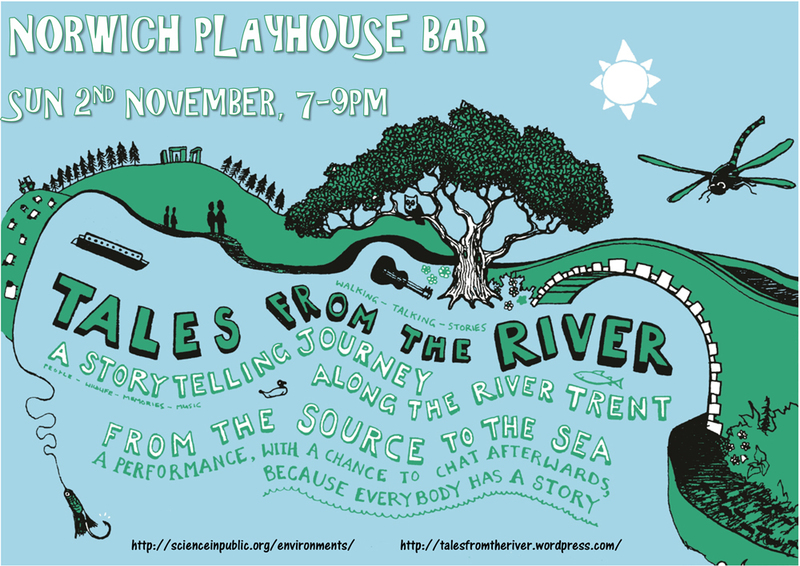 There’s also a chance to see ‘Tales from the River’ the night before at the Playhouse Bar in Norwich – ‘A storytelling journey along the River Trent from source to sea’.